Did you know about this Medal of Honor for Astronauts? 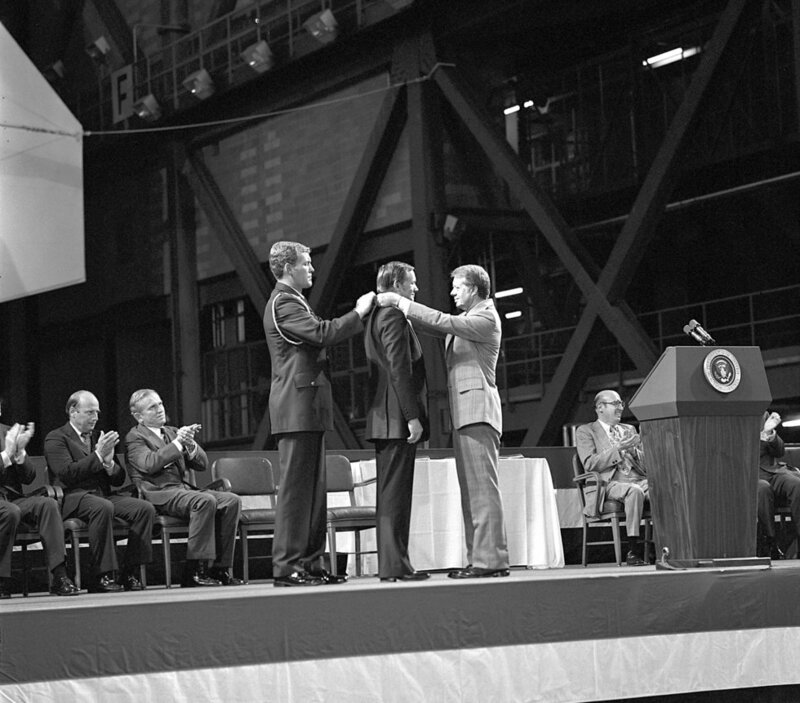 On Oct. 1, 1978, President Jimmy Carter wrapped the Space Medal of Honor around the neck of Neil Armstrong, the first human to set foot on the moon. It was the first-ever of such medals awarded, even though the medal was authorized by Congress in 1969 — the year Armstrong actually landed on the moon. Astronaut Neil Armstrong received the first Congressional Space Medal of Honor from President Jimmy Carter, assisted by Captain Robert Peterson. Armstrong, one of six astronauts to be presented the medal, was awarded for his performance during the Gemini 8 mission and the Apollo 11 mission. The list of men also receiving the Space Medal of Honor that day was a veritable “who’s who” of NASA and Space Race history: John Glenn, Alan Shepard, and — posthumously — Virgil “Gus” Grissom. They received the medal from the President of the United States, in the name of Congress, and on the recommendation of the NASA administrator. Today, as the list of Space Medal of Honor recipients grows, it continues to have such esteemed names joining their ranks, as earning it requires an extraordinary feat of heroism or some other accomplishment in the name of space flight while under NASA’s administration. Just going to the moon doesn’t cut it anymore — Buzz Aldrin still does not have one. 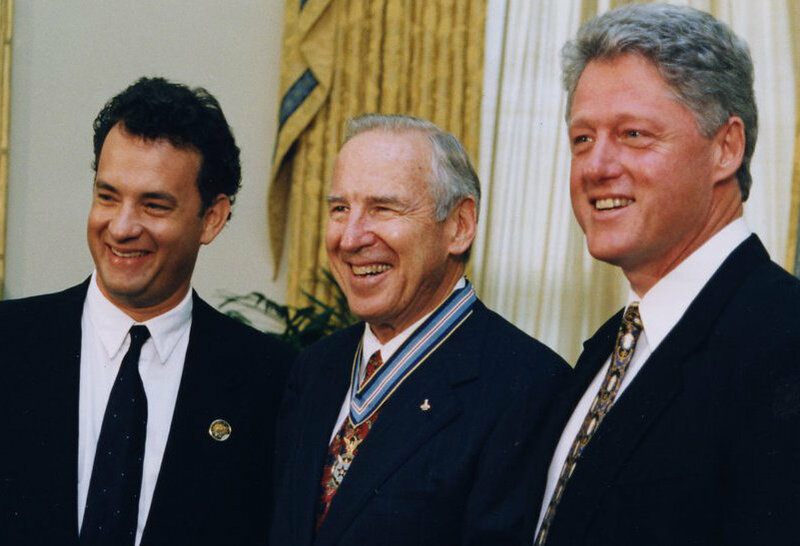 President Clinton presented the Congressional Space Medal of Honor to Captain James Lovell for his command of the nearly disastrous Apollo 13 mission. Actor Tom Hanks portrayed Lovell in the movie Apollo 13 the same year he received the medal. Recipients can also receive the award for conducting scientific research or experiments that benefit all of mankind in the course of their duties. In practice, however, most of the recipients of the Space Medal of Honor died in the course of their duties. The crew of the ill-fated Challenger disaster who died during liftoff and the crew of the Columbia shuttle, who died during reentry are all recipients. To date, only 28 astronauts have earned the Space Medal of Honor, and 17 of those were awarded it posthumously. Though the award is a civilian award, it is allowed for wear on military uniforms, but the ribbon comes after all other decorations of the U.S. Armed Forces.